Valid question: How many Megabytes are in a Gigabyte? Answer = 1000 Megabytes : 1 Gigabyte. This measure digital storage capacity, usually for Hard Drive, SSD, and other digital storage drives. 1000MB is equivalent to 1GB. To understand this question better you need to start with the least of data storage capacity. It all starts with a Bit and can reach a Geopbyte. Bit: Computers deal with binary digits, or bits for short. A bit can be 0 or 1, equivalent or off or on. Byte: One byte is eight binary digits, such as 1111001. Kilobyte (KB): The smallest file stored on a smartphone, tablet or PC is typically four kilobytes (4KB) in size. A kilobyte is 1024 bytes, a. Therefore 1KB is the same as 1024 x 8 = 8192 binary digits. Gigabyte (GB): There are 1024MB in one gigabyte. Data storage is a globally demanded feature on computer device, and other machines. The demand for storage has given birth to the cloud storage based industry and a new tech profession. Videos have enhanced quality which in turn demands for a more space. Technically when you have 1GB we are talking about 1024MB, the computer recognizes the nearest points. However device advertised has one 1GB does have pre-installed files reducing the storage space with a few MB storage spaces. 1 byte is equal to 9.53674316406E-7 MB, or 9.31322574615E-10 GB. Providing extra details on the actual conversion and reason for slight differences in the figures and answers gotten. 1 Gigabyte is equal to 1000 megabytes (decimal). 1 GB = 103 MB in base 10 (SI). 1 Gigabyte is equal to 1024 megabytes (binary). 1 GB = 210 MB in base 2. To easily understand the differences and the calculation measurement, see examples given below. 2GB USB flash drive = 2,000 MB. A single layer DVD disc capacity is 4.7 GB = 4700 MB. A dual-layered DVD disc capacity is 8.5 GB = 8500 MB. A single layer Blu-ray disc capacity is 25 GB = 25,000 MB. The U.S. National Institute of Standards and Technology – has endorsed the binary prefixes as the official standard, it has seen limited usage. Computer memory manufacturers commonly refer to 1,024 megabytes as a gigabyte, whereas manufacturers of storage devices tend to use gigabyte strictly to describe 1,000 megabytes. Due to the lack of a standard system, 2 GB can realistically be equal to either 2,000 MB or 2,048 MB. 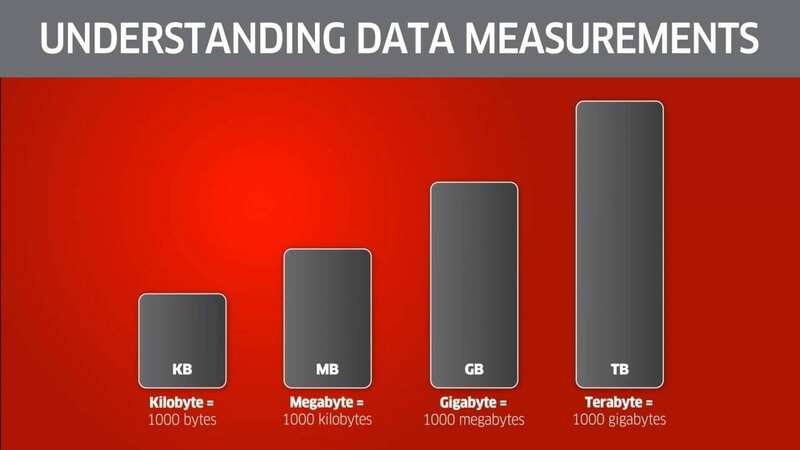 Knowing how many megabytes are in one gigabyte helps with data planning, backup, storage decision and analysis. It is important to remind you that some storage device have available space lower than what was advertised. This usually contains system dependent files, often applies to storage on PC, Mac, iPhone, Android devices and more.